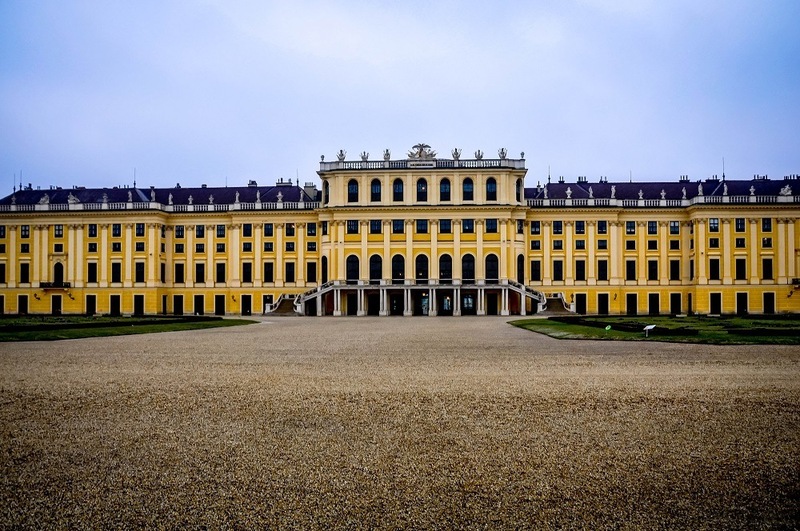 Schonbrunn Palace, a UNESCO World Heritage Site and the former summer home of the Habsburgs, is the most popular tourist attraction in Vienna. Over 2.6 million people visit a year – including us. But when we visited the sprawling 1,411-room palace on a cold winter afternoon, it felt like we had it completely to ourselves. 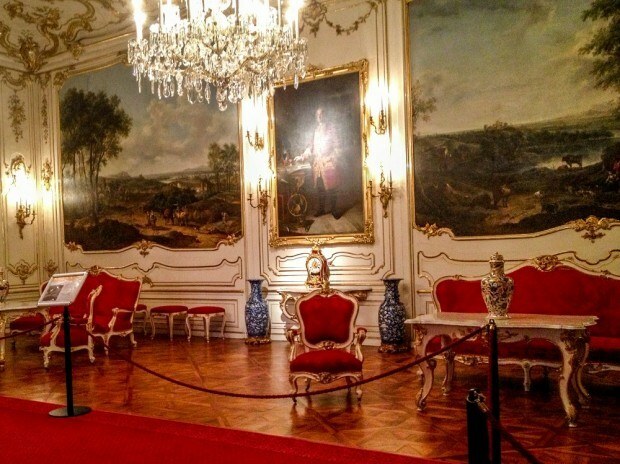 At some point, many European royal palaces start to look the same. The Schonbrunn reminded us a lot of Versailles in France or the Royal Palace in Madrid, Spain. The scale of the Schönbrunn seems to match only that of Versailles, although its gardens are smaller. Like those other palaces, the Schönbrunn features the dining rooms and sleeping quarters of the Habsburg royal family along with ornate reception halls and living spaces (with the exception of Emperor Franz Joseph’s modest bedroom). 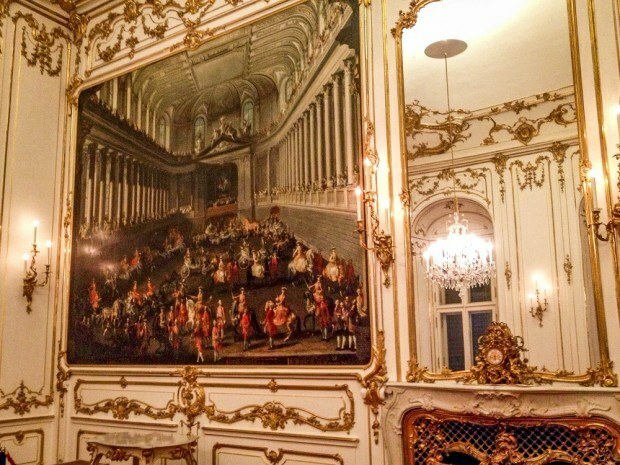 The only difference between this and palaces like Versailles is that the Schonbrunn is much newer – from the 19th and 20th Centuries. 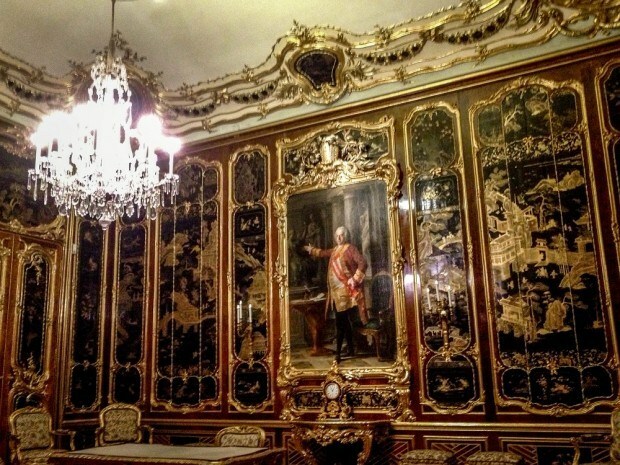 We also found that the tour at the Schönbrunn is highly repetitive to the Hofburg Palace in downtown Vienna – including nearly identical elements on the audioguide. In recent times, the Schonbrunn Palace played host to the Allies after World War II and also the famous 1961 conference between John F. Kennedy and Nikita Khrushchev. During our visit, such high-levels affairs of state were not on the agenda. Being Easter time, our agenda was gluhwein to keep us warm and buying painted Easter eggs in the small market in the courtyard. Schonbrunn Palace was just a quick ride on the U-4 subway from downtown Vienna and lunch at Vienna’s Naschmarkt (check out this article for other great tips on visiting Vienna). It’s worth noting that you should buy your tickets at the entrance center at the main gate when you come in (on the left) and don’t walk all the way up to the Schönbrunn. I found out the hard way – it’s a long walk back.